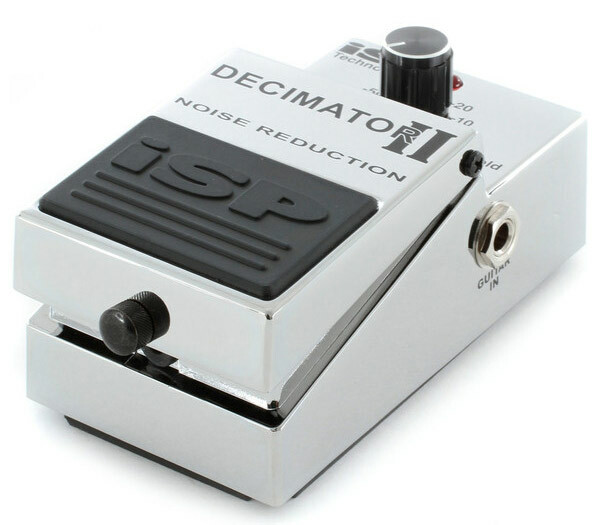 ISP Technologies Decimator II : is the best noise reduction pedal for guitarist on the market. It's a simple device that makes a big difference to your idle sound. Just set the threshold and kick it in. ISP Technologies introduces the Decimator II™, second generation of the Decimator Noise reduction. The Decimator II includes improved performance and innovations so unique that it is covered under two new patents pending for these new innovative improvements.